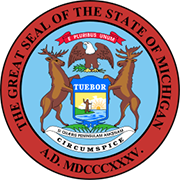 The online search tool for finding registered business entities in Michigan has proved to be very helpful indeed for collecting information on any business entity in the state. 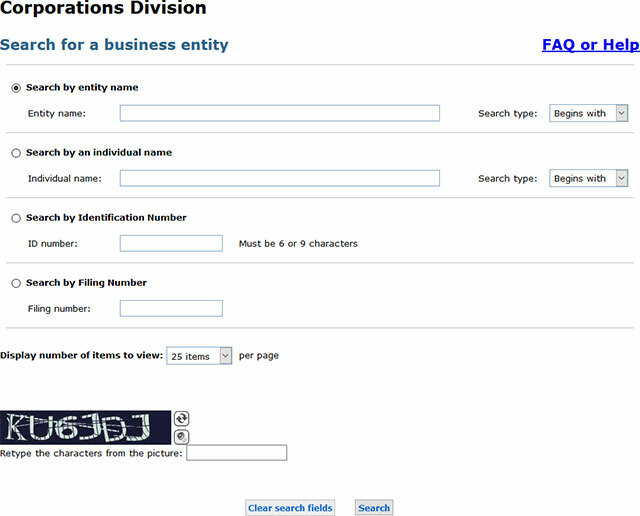 For your search to continue, you need to have the entity name or the corporate ID handy. 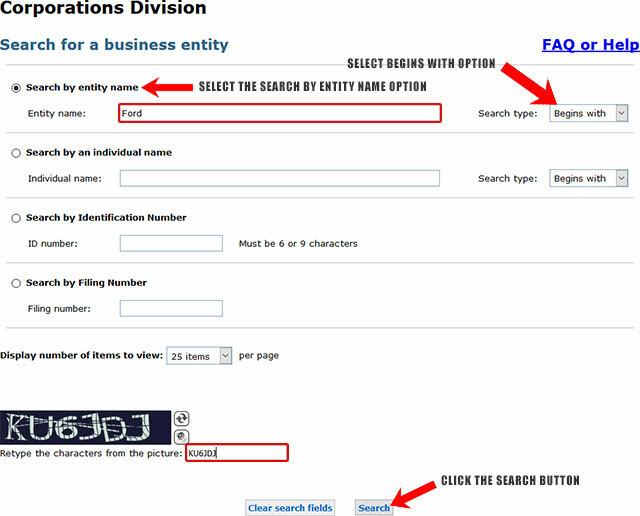 Below is a step by step guidelines on how to use the Michigan business search page. 1. The first step is to access the Michigan business search page by clicking here. (it will look like the screenshot below). 2. The form allows you to search by entity name, individual name, Identification Number or by Filing Number. For this example go ahead and select the "Search by entity name" option. 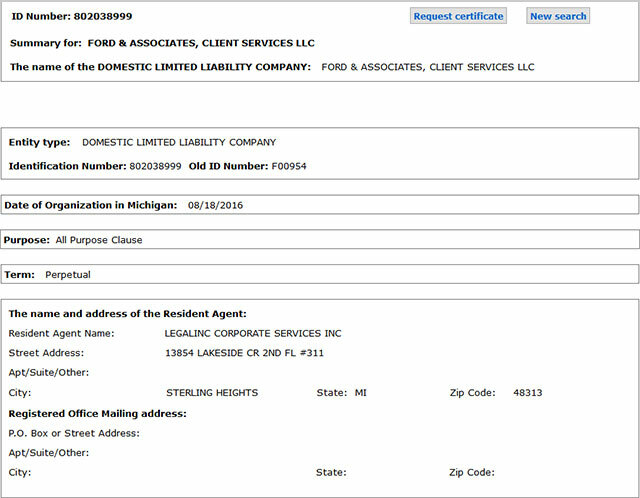 In the "Entity name" field type in the business name "Ford". The "Search type" drop down allows you to select one of these options, "Begins with", "Exact match", "Keyword" and "Soundex". For this example, leave the default value selected, "Begins with". Once this has been done you will need to enter the Captcha Code at the end of the form, above the "Search" button for security purposes. This verifies that a human is doing the search and not a bot. The screenshot below illustrates this. 4. Once you enter the correct Captcha code into the field, click the "Search" button and the results page will display a list of business entities that start with the name "Ford". 5. If you want more information on an entity, click on its name. A page will then appear showing more of its details. The Corporations Division is the branch of the Corporations, Securities & Commercial Licensing Bureau in charge of business filings and records. The Bureau itself is under the responsibility of the Department of Licensing and Regulatory Affairs. The current Secretary of State of Michigan is Ruth Johnson, elected to office in 2011, and serving until present. The Corporations Division registers and records entities desiring to do business in the state. 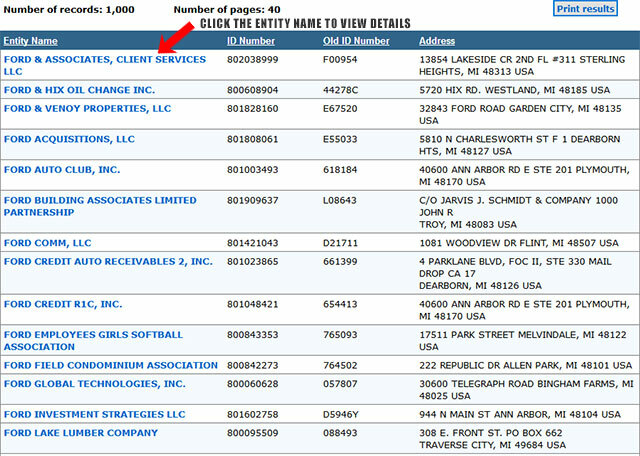 It also maintains an archive containing the details of such corporate and business entities.